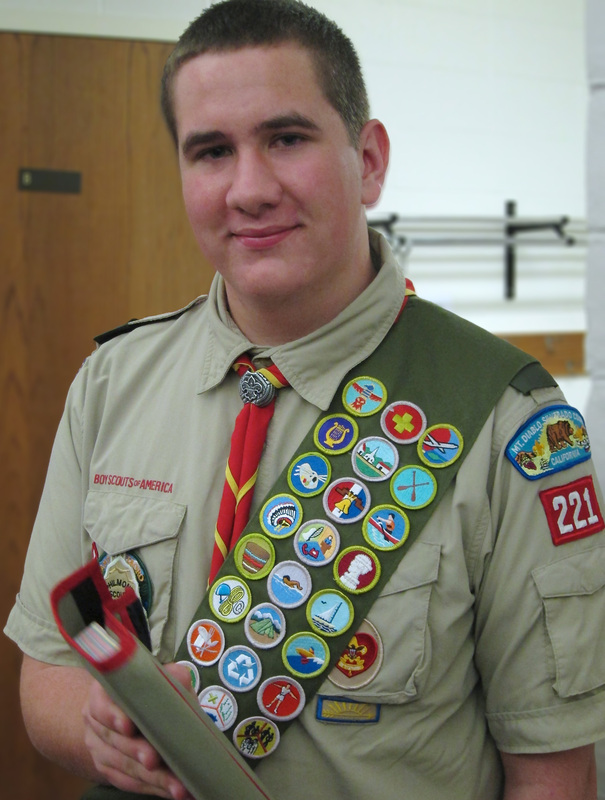 On Friday evening, May 2, 2014, my youngest son Dewald became an Eagle Scout. Below is the speech I gave at his Eagle Scout Court of Honor. Tonight is a very special night for us – and we’re so glad that you’re here to celebrate this occasion with us! Ronél and I are privileged to have 3 wonderful sons, each with his own personality, talents, interests, hopes and dreams. There is no doubt in my mind, though, that Dewald is our FAVORITE ­– youngest son! We are, of course, incredibly blessed to have a son like Dewald. He is a young man with a solid character, a strong will and a dogged determination… yet, he is kind, fun-loving and caring. Over the years, he has become a great leader, mostly due to his association with the Boy Scouts and by observing other great leaders in action. Kim Peterson, who has given so much of her time, love and wisdom to this Troup and to her amazing and upstanding sons, Andrew and Jack. Out of the woods on the dirt road between our farms, a blond-haired boy was appearing, with three dogs dutifully in tow, as if forming a security detail around him. So, Dewald had decided to hike the mile or so to go visit his grandpa, without telling his mom about it! The dogs instinctively knew what to do. Ronél was busy enough to be oblivious of the adventure, until Grandpa called! The hike did not end without tribulation. In the final 50 yards, or so, Dewald decided to take a short cut, unfortunately, through a patch of thorns, where grandpa had to rescue him… you see, most kids in South Africa do not wear shoes, as a rule, until about high school age (unless, of course, they’re going out to the mall or to church or to visit friends). I’m convinced that Dewald’s first five years, growing up on a farm, were foundational to his love of Nature, the outdoor life, and hiking. With the proverbial world as his playground, the farm-fresh air, the exceptional clear skies and amazing views of the Milky Way on cloudless nights, even the freedom to go visit his grandpa without telling Mom – those were character-forming influences in a young child’s life. When my dreams brought us the United States, Dewald lost a little of that carefree farm-boy lifestyle. He had to learn to wear shoes and to stay at home, or ask Mom when he wanted to play with friends. He even had to learn not to whip it out wherever or whenever #1 called! Fortunately for us and for Dewald, we found Scouting and realized that in Scouting, Dewald would enjoy many of those first-found loves. Hiking, camping, canoeing; the beauty of Nature… Of course, there are many more things that Scouting offers: the camaraderie, the development of leadership skills, the learning… and the understanding that honor, loyalty, courage, and being cheerful and service-oriented, along with responsibility, reverence and humility, are not just words, but the fabric into which character is woven. Mom and I, and your brothers Nicolas and Conrad, are all incredibly proud of you today. We are humbled and blessed to have a son and brother like you. We love you very much and celebrate this milestone in your life with smiles in our hearts.